"The stories you tell about your past shape your future." What do salmon fillets, a waffle iron, three cans of beans, and a Lear jet all have in common? They all come from real life corporate stories told to employees to reinforce core company values and help them remember to act in alignment with those values. Evelyn Clark profiles 15 highly successful companies that have embraced storytelling as a way to teach their employees about what is important while boosting their bottom line. As Clark states in her introduction to the book, “To understand and appreciate what their organization stands for, workers need to hear about its people, its values, and its history. So smart leaders tell stories.” And like all good storytellers, Clark lets the characters in her stories take centre stage so we hear directly from CEOs and managers at companies like Nike, Costco, Southwest Airlines, 3M, Eastman Kodak and FedEX as they share their favorite stories and how those stories help engage employees and customers alike. The stories are as varied as the companies that are profiled and Clark masterfully weaves instructional context around them all without overpowering the stories themselves. Whether you are reading this book simply to be entertained or want to learn how you can use stories in your business, you will love what this book has to offer. "In my office I have a rocking chair to remind me that when I’m retired and sitting in that chair, and my grandchildren ask me what was important in my life, I won’t tell them about extra earnings per share… I’ll tell my grandchildren, as I tell employees, how this work has touched my own life." The idea of leaving a legacy is not new, however it is powerful and beautifully sums up the main reason why a business should devote some energy to reinforcing its core values using stories. Medtronic is a medical technology and services company that was established in 1949 with a mission to “alleviate pain, restore health, and extend life.” Art Collins was the Chairman and CEO in 2004, and the man with the rocking chair in his office. Like his predecessors, Collins believed in the company’s mission and knew what stories people needed to be told. It should come as no surprise then to learn that the stories shared at Medtronic focus on the impact the company’s devices and technology have on the lives of the people who use them every day. Do your employees know what legacy your company wants to bequeath to its customers? Do you regularly hear (and tell) stories that demonstrate your corporate mission and values in action? What about you personally? Have you thought about the legacy you want to leave future generations? Are you sharing those stories with your family, friends and colleagues? If not, you might want to buy a rocking chair and spend some time crafting a few good stories that will let everyone around you know what’s important to you. "A young Marine lieutenant told him the secret behind every good troop leader: 'Just remember three things: Shoot. Move. Communicate.'" Fred Smith, was a Marine rifle platoon leader and company commander in Vietnam before he established FedEx, and told a Harvard Business Review roundtable that ‘Shoot. Move. Communicate.’ was the best leadership advice he ever got in his life. At FedEx, it means be decisive. Pick a target and go for it. Don’t be a sitting duck – stay agile. Treat your employees like allies not like the enemy by giving them the information they need to achieve the objectives you set for them. I love the simplicity of these directives and agree whole heartedly with the FedEx CEO – it’s pretty solid leadership advice. Personally, I need to shoot and move a bit more to grow my business. It’s easy to stay too focused on one target and forget to keep moving forward. And, I need to communicate more frequently with my network (my allies) so they know what I’m up to and I know what they are working towards so we can help one another achieve our objectives. What about you? Can you apply the shoot-move-communicate directive in your work or personal life? Who are your allies? Which command do you need to focus on more? Which one is your strong suit? "To be called 'Gumby-like' is the highest compliment for any TCS employee. The cartoon character epitomizes the flexibility that the company expects its people to practice." I hope I’m not dating myself too much with this reference to Gumby (and if you haven’t heard of Gumby a quick Google search will clue you in). In short, a green clay animation figure that can bend any which way without breaking. If memory serves me well, Gumby was also a problem-solver who demonstrated great perseverance when confronted with challenges (typically brought about by the Blockheads…but I digress). Be like Gumby is a reminder to me to embrace the inevitable challenges that I will face personally and professionally with perseverance and a flexible mindset. The Container Store (TCS) reminds their employees about this approach both literally and figuratively. Images of Gumby “can be seen on the sales floor, in offices, on shelves and in many other places around the company.” They even have a conference room that bears Gumby’s name (and yes, it is designed to easily be reconfigured to suit small or large gatherings)! The book doesn’t say, however it wouldn’t surprise me one bit, if the company had a stock of Gumby Thank You cards on hand to acknowledge those employees who provide exceptional ‘Gumby-like’ service. Where might you need to be more Gumby-like? Is there a cartoon or comic book character or perhaps a super hero that epitomizes a trait or value you’d like your employees to emulate? Find creative ways that you can reinforce those traits and values with visual reminders and cues. This book was a great reminder that stories are a powerful communication tool that act like bridges between people and concepts, ideas and actions. Memorable stories are short and to the point, and usually have a couple of unexpected twists – like the salmon fillets, the waffle iron, the Lear jet and the three cans of beans. 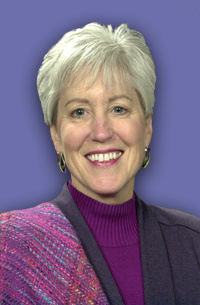 As Clark points out in her conclusion, “To be effective, a story must focus on a clear objective; and to achieve the objective, the story to be shared must be carefully selected, constructed, and delivered.” That said, any story, told from the heart has the power to convey its message and impact the listener. Stories get better each time you tell them, and the more you tell them the more lasting the impact. Do you have a favorite story that you tell repeatedly in your business to impart a kernel of wisdom to your employees or customers? Please inspire other AB Summary readers and share it in the comments section below.